Featuring lowering of more than 2.0 inches, H&R Sport Cup Kits are the ideal solution for those that want a street-engineered performance suspension with super-low looks. More than the so-called “matched” spring and shock packages offered by some, H&R Cup Kits are the result of over 25 years of experience in suspension design. With no guesswork involved, the H&R Cup Kit provides an application-specific spring and shock system designed to deliver improved handling, uncompromised ride comfort and sleek styling in one precision-engineered package. 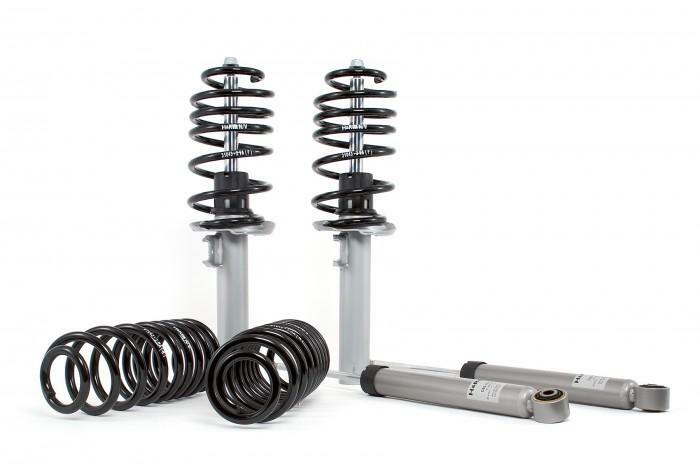 Because the H&R Cup Kit consists of specially made springs and shocks designed and engineered together, they provide a lower ride height and make a cohesive suspension package that outperforms and is more comfortable than seperate off-the-shelf performance suspension components.